This is courtesy of Buff Hooligans. 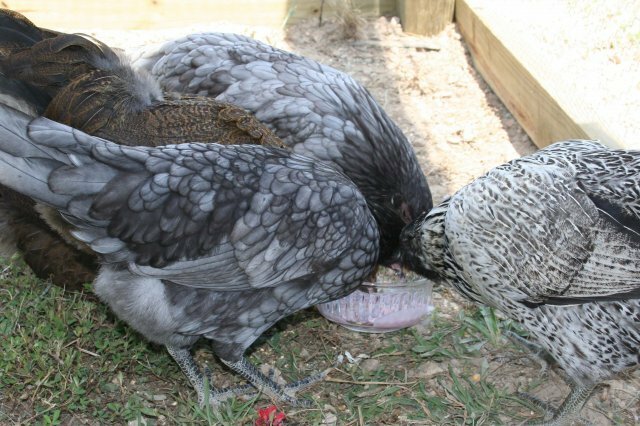 These are not my chickens bear in mind. 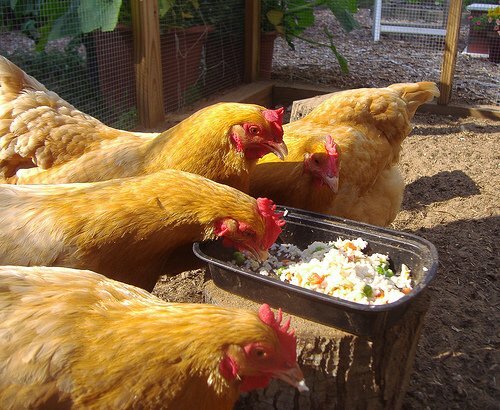 Chickens love treats, it can also be used to train and tame them. 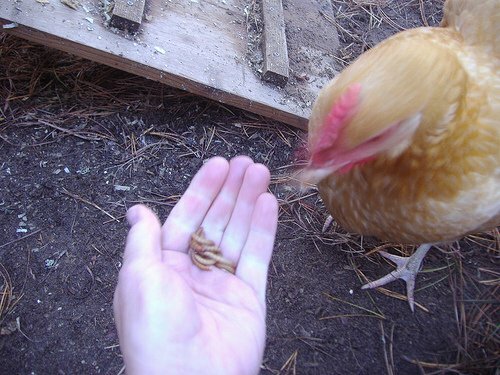 [FONT=comic sans ms,sand]The most favorite chicken treat of all - mealworms! 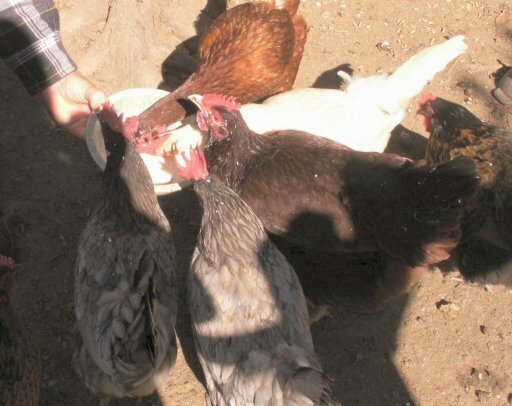 Note the lightning speed of the chicken lunging for them. Yogurt's a favorite, and very good for their intestinal health. 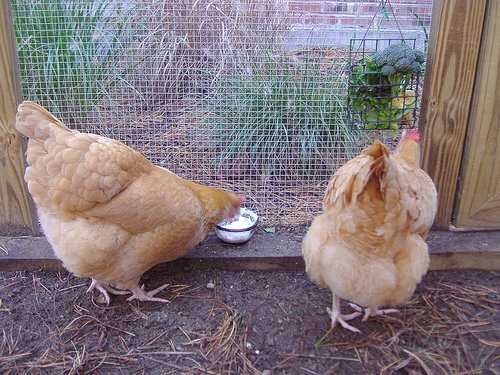 Here are two photos from Rooster-Red of his chickens enjoying their yogurt! 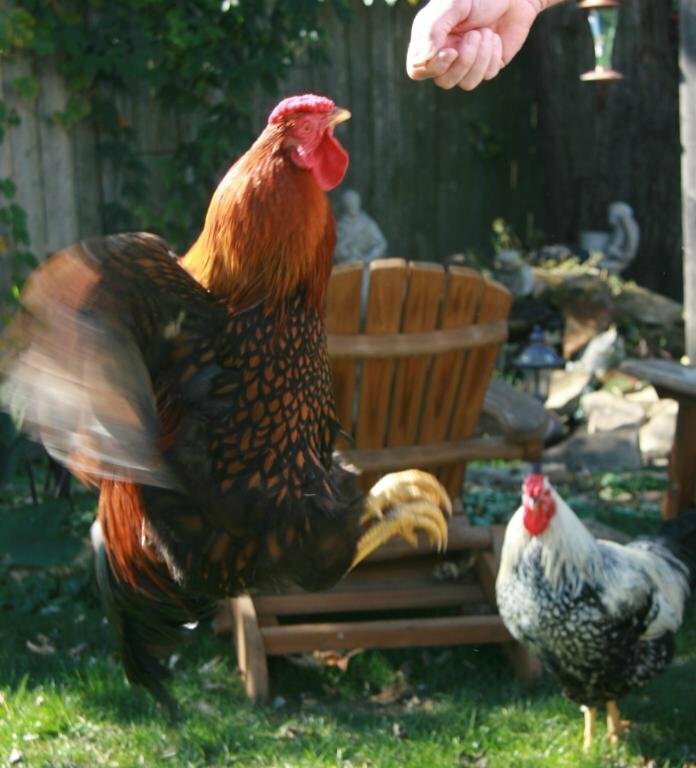 Rooster-Red recommends standing back from your chickens when feeding yogurt, because the stuff flies EVERYwhere. 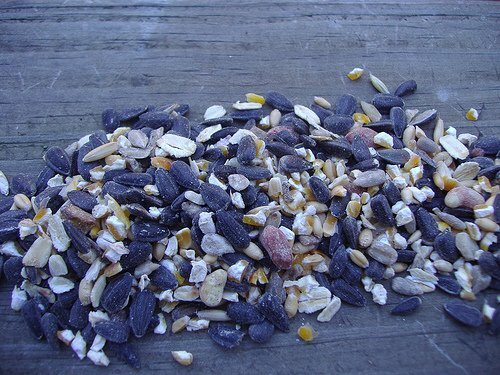 This is a mix of good quality birdseed, raw oatmeal and scratch. so they have something to scratch for and occupy their treat-obsessed minds. 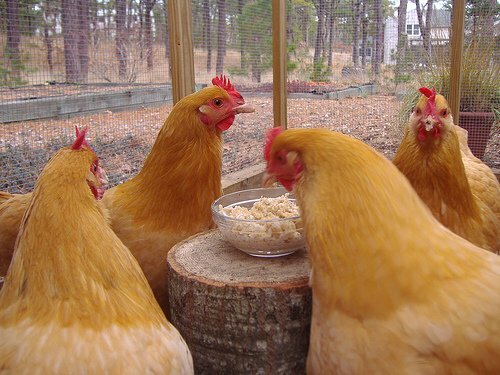 Here's a bowl of warm oatmeal, girls! 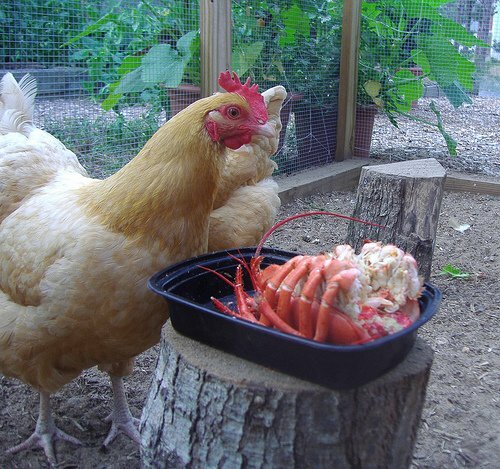 [FONT=times new roman,times]Can cause salt poisoning in small bodies such as chickens. 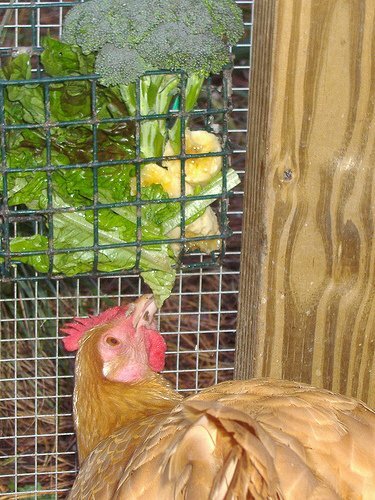 "Do not count on your chickens "knowing" what is bad for them...also do not count on these "toxic" plants immediately being identifiable by finding a dead bird the next morning...usually it is a slow process damaging organs , inhibiting the ability of your bird to utilize the nutrients in their feed, etc. 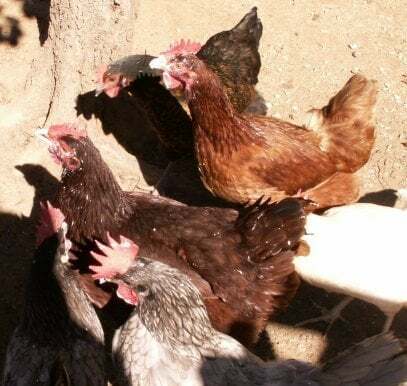 (factors contributing to nutritional disorders)"
..."While it is nutritionally essential, methionine excesses are far more toxic to poultry than similar excesses of tryptophan, lysine, and threonine (National Research Council, 1994). Force feeding methionine to excess can result in death to chicks (National Research Council, 1994). A dosage of 2 g / mature cat / day (20 to 30 g / kg dry diet) for 20 days induces anorexia, ataxia, cyanosis, methemoglobinemia and Heinz body formation resulting in hemolytic anemia (Maede, 1985). 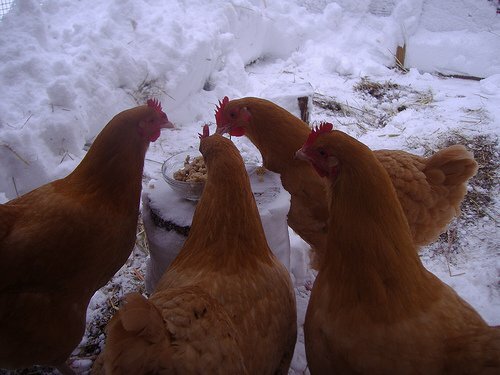 ..."
As for Styrofoam I know it is not safe to have around ducks or chickens. While eating 4 half sides of grapevine and rose bush winter protection covers, does not hurt them, it results in killing the poor plants that were not covered in the snow months.